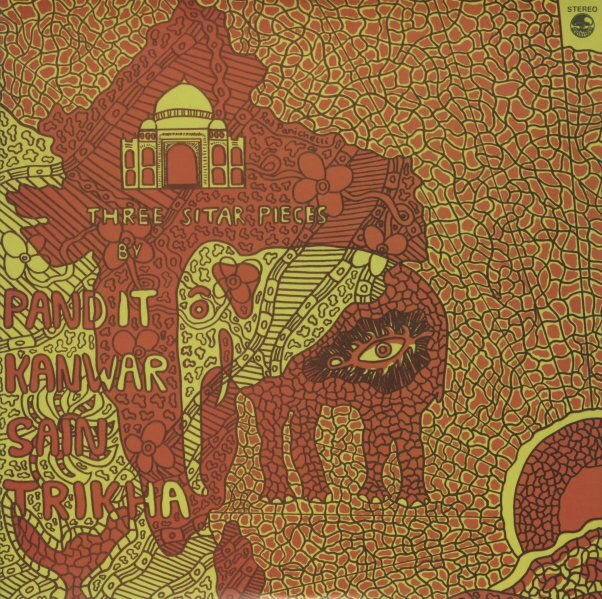 Three sitar pieces from Pandit Kanwar Sain Trikha – all recorded in London at the staret of the 70s, and with a vibe that's every bit as trippy as the cover! Two of the album's tracks are especially long – and really have this open, free-flowing energy – more than meditative, as Pandit often plays with a bit of an edge, and the percussion seems to have its own sort of approach too – handled by Paul Burwell on tablas in a few different cycles, almost moving away from the sitar, then back again. Titles include "Bageshri In Teental", "Rag Desh In Dadra", and "Folk Piece In Kahrwa" – the last of which is shorter and a bit more upbeat. © 1996-2019, Dusty Groove, Inc.